The slip-on shoes (aka loafers) are a wardrobe staple for the fashionable man of today. Traditionally, these lace-free shoes were not meant to be worn with business suits, but they are making in-roads and have become extremely popular with all kinds of outfit. 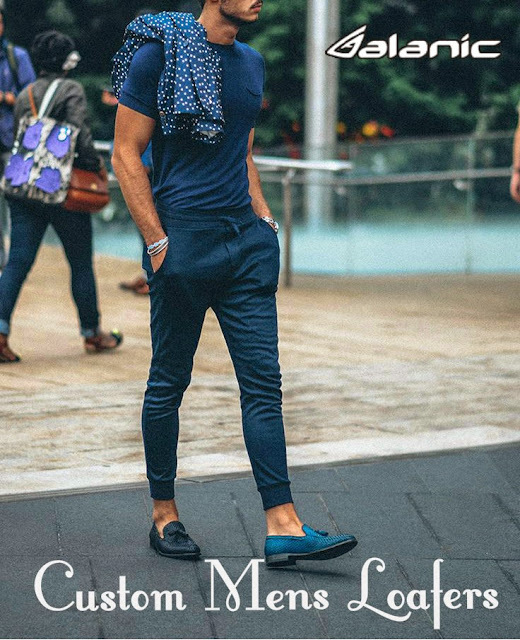 The dark brown and cardovan loafers are found in almost every man's closet because of their versatility to go with everything from a simple pair of jeans to coats and blazers. The different styles available in the market are Penny, Tassel, Gucci, Venetian and Dress loafers. The best part is that there are numerous designers and manufacturers that will let you design your own loafers. The New Trend is Here! The present day is about the hippie generation that wants to break away from standardization and monotony. Gone are the days when men wore pretty much identical clothes. This era is all about blending colors with the psychedelic patterns, the idea of being free and the strong urge to stand out among the crowd wearing one's individuality. This is what brought the trend of customized loafers and it seems to be growing stronger with each passing day! Manufacturers and designers have started to understand the requirements of the customers and have found out the easiest way to satisfy their demands. One can wear slip-ons in any imaginable color with the option of custom loafers. They can wear their attitude and express themselves through a pair of uber-stylish and comfortable loafers. The colors can vary from blazer blue to tango red. When you choose to customize your own loafers, you are basically getting the chance to add your personal touch to the classic footwear and change its look completely. You will hardly see another pair and this will give you the chance to be unique and 100% original. Get in touch with manufacturers and suppliers dealing in bulk products and get your very own custom loafers shoes in wholesale for personal or resale use. If you are an entrepreneur, customized shoes will definitely help to give you a jump over your competitors!